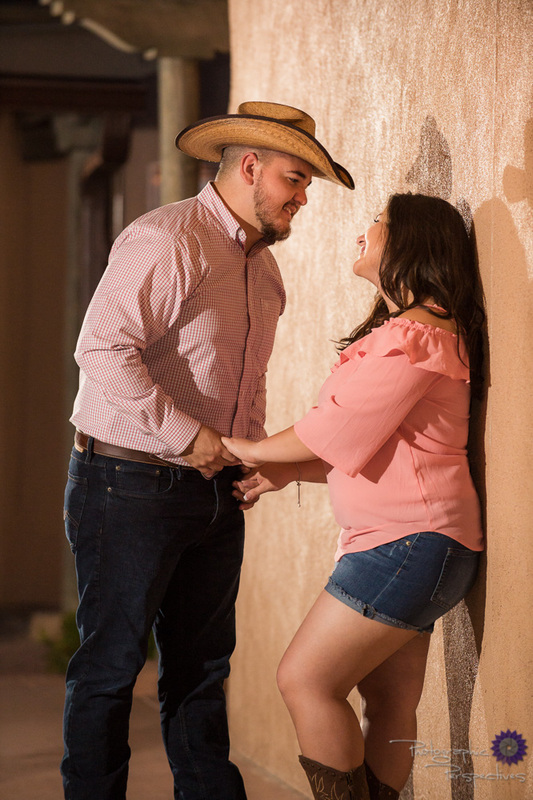 Deeanna and Al chose Old Town Albuquerque for their engagement session. When the day of their photo session arrived it was completely overcast, dark, and sprinkling. The rest of Albuquerque we getting lots of rain, but Old Town hardly had any rain fall. We are so glad the rain stayed away until the very end of our photo session. We had a wonderful time walking around Old Town with Deeanna and Al, looking for new spots for their engagement photos, and getting to know them better before their wedding day. We can’t wait for their wedding day to get here next year!